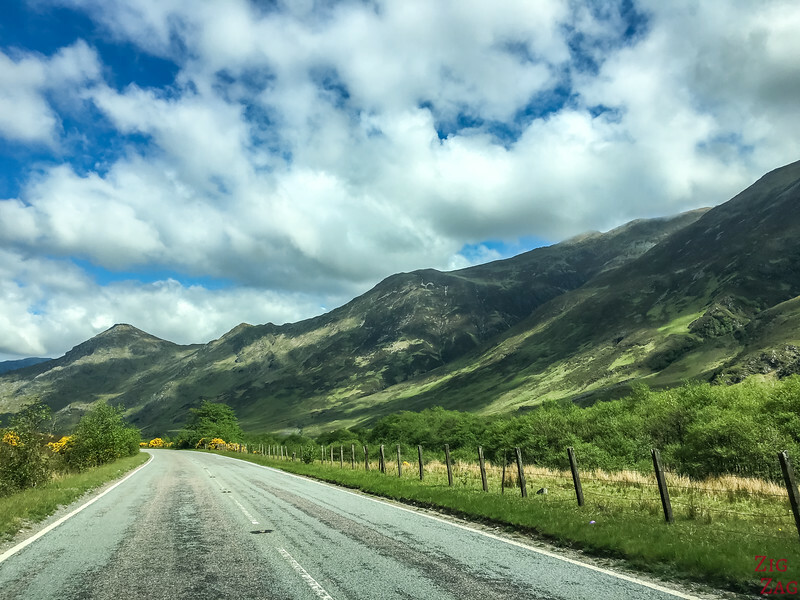 Let's start with a short video that will give you an idea of what driving on A87 looks like: first along the North Shore of Loch Cluanie an then through Glen Shiel. 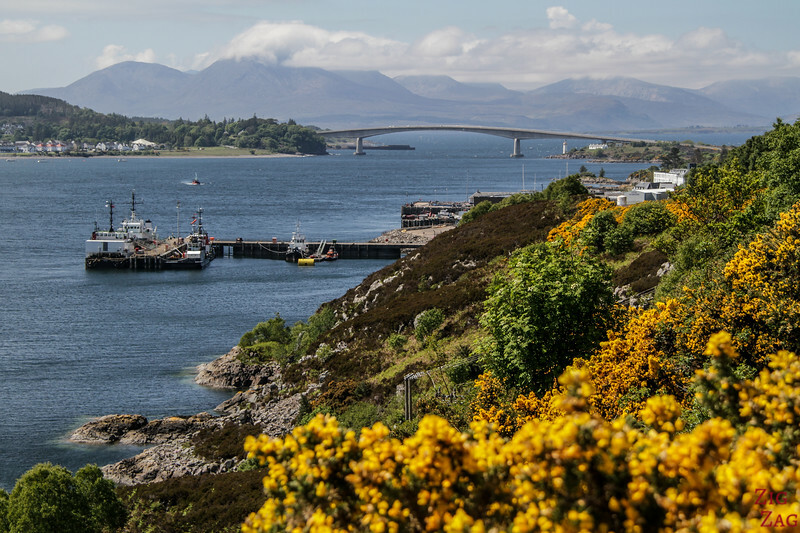 Discover at the end the Skye bridge that provide easy access to the Isle of Skye, considered one of the most beautiful islands in the World. 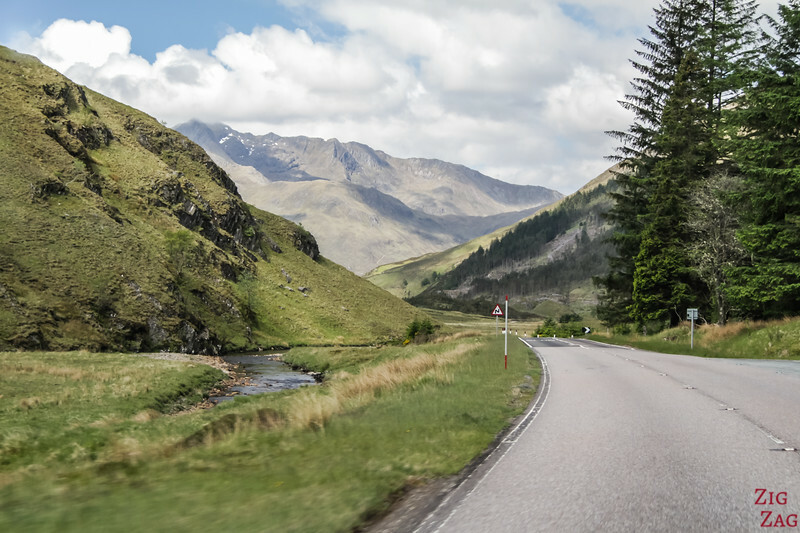 A87 is a road with one lane in each direction. It is in good condition. 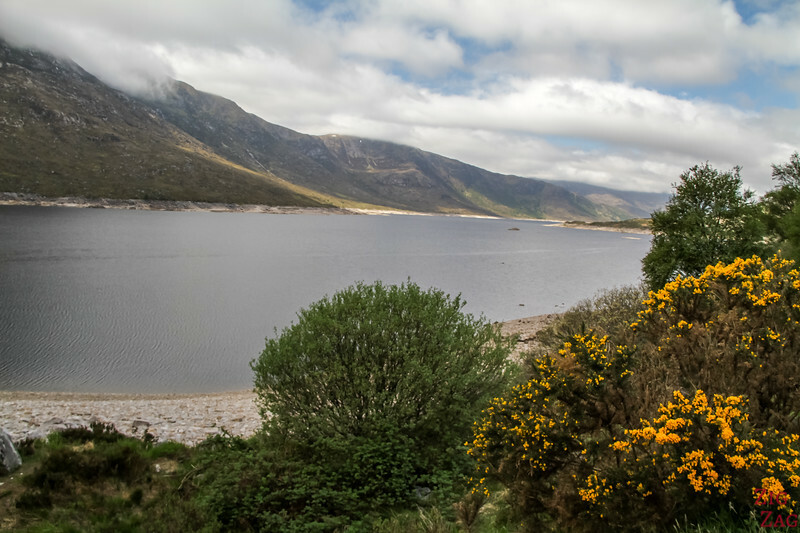 Loch Cluanie is a freshwater loch created by a dam built in 1957 as part of an extensive hydroelectric project. 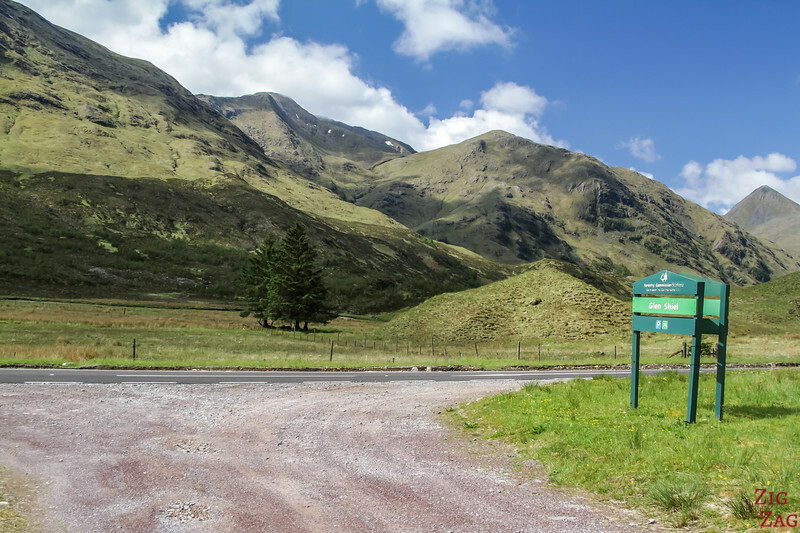 Niched in the Highlands, several hikes on Munros are available in the area. 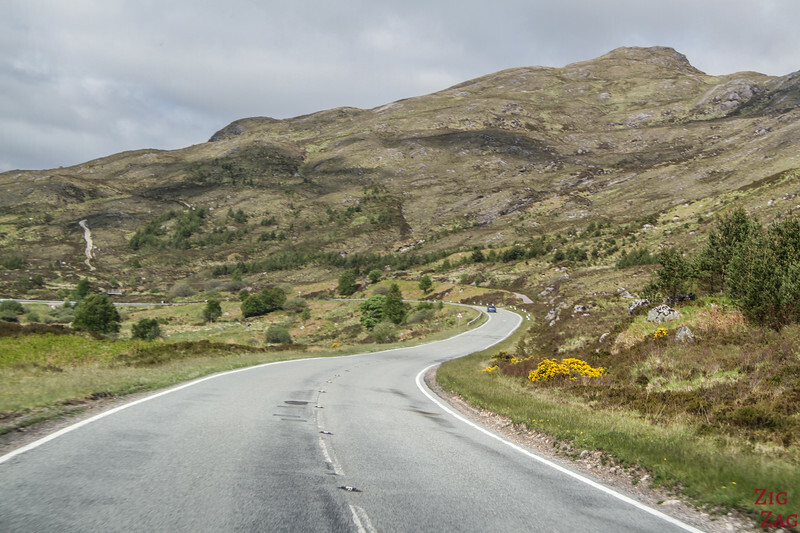 Road A87 follows the North Shore, all the way to the historical Loch Cluanie Inn. 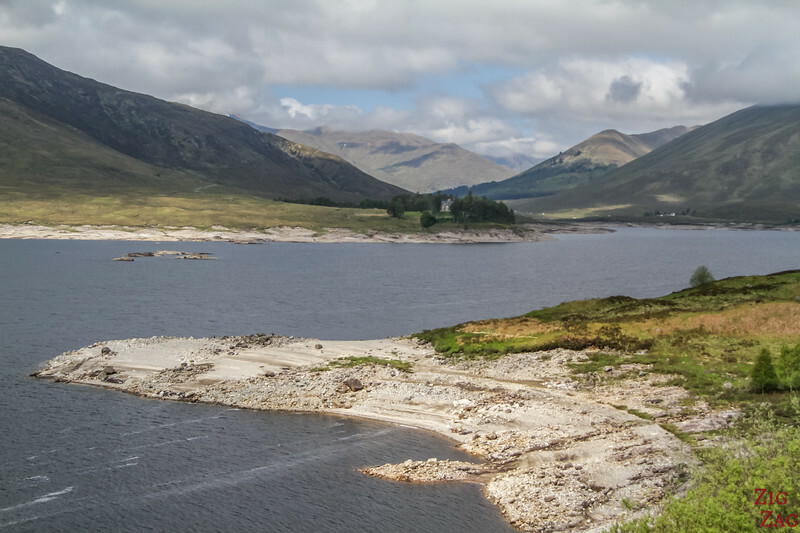 The shores of Loch Cluanie are very tortuous with islets and white rock 'peninsulas'. 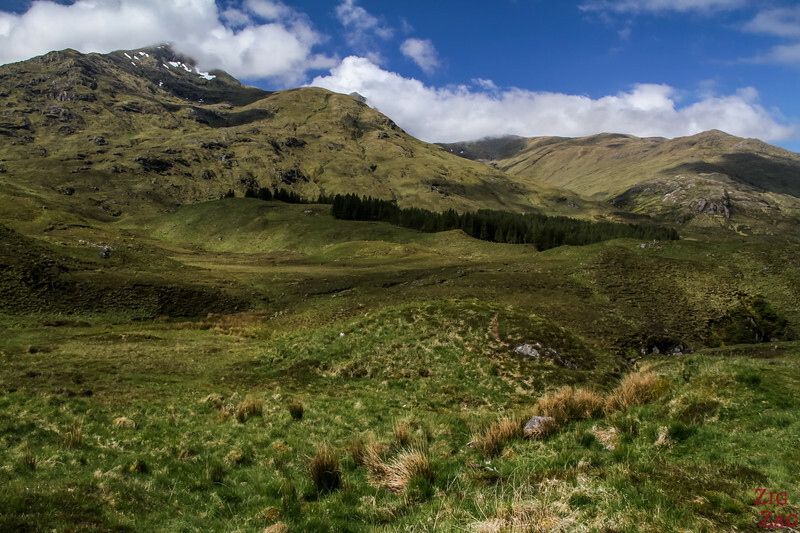 The River shiel takes it source in mountains Est of Loch Cluanie. 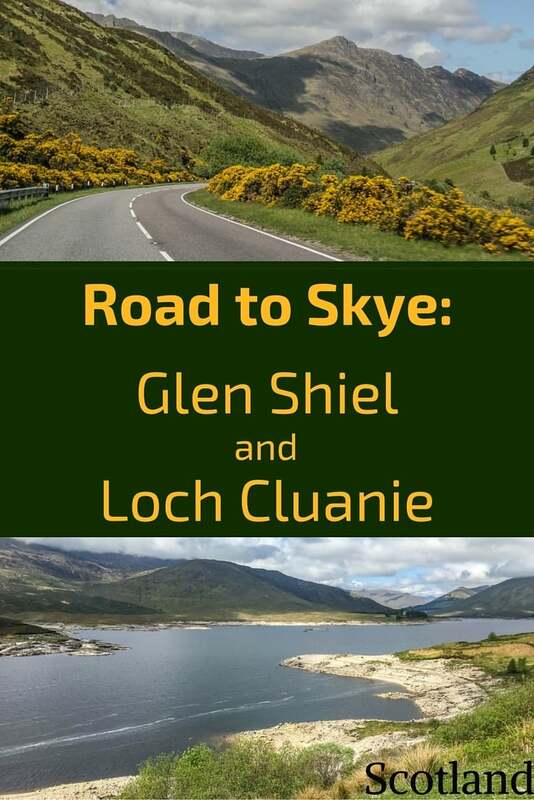 So Glen Shiel does not officially start right after Loch Cluanie. This does not mean that the scenery is not interesting. On the contrary. It just keep getting better and better. 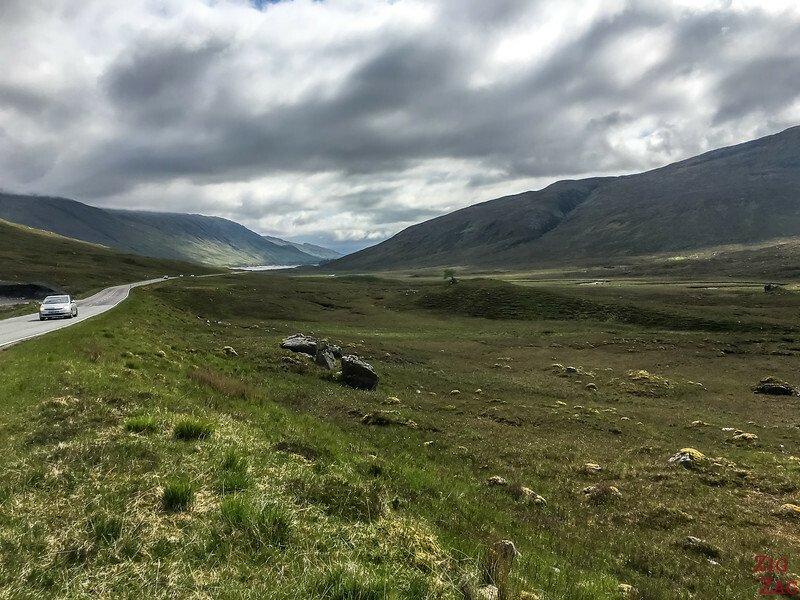 Wide at the beginning the glen gets narrower and the views more impressive. 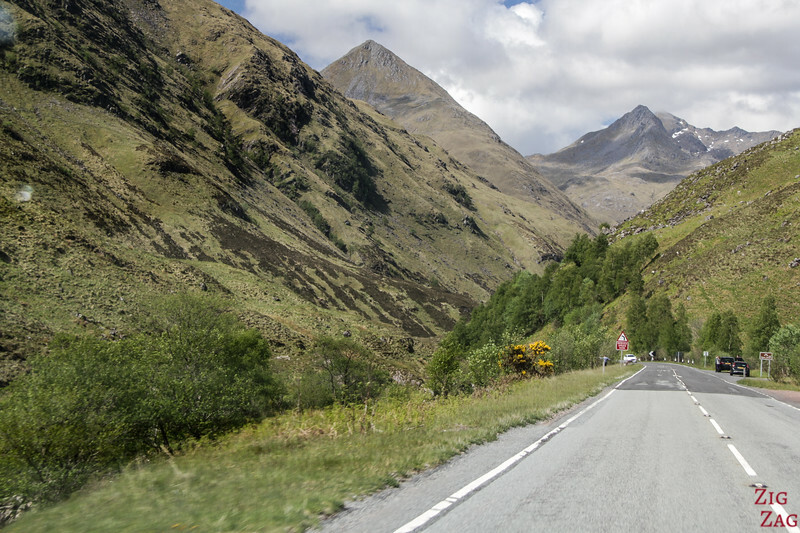 Glen Shiel is one of the best valleys to drive in Scotland. 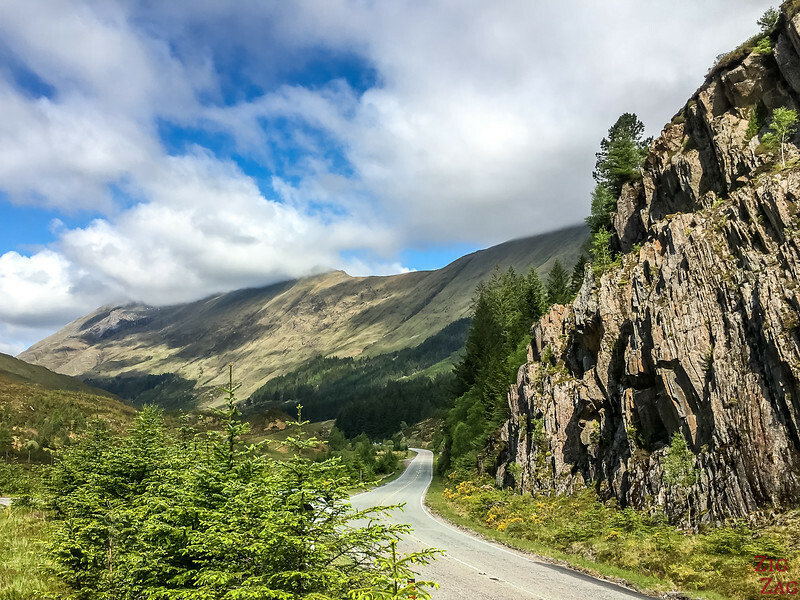 The road follows along River Shiel stuck between towering mountains. The are a is green and never boring. The peaks all have very different shapes and the canyon is lake a snake displaying different layers of mountains. 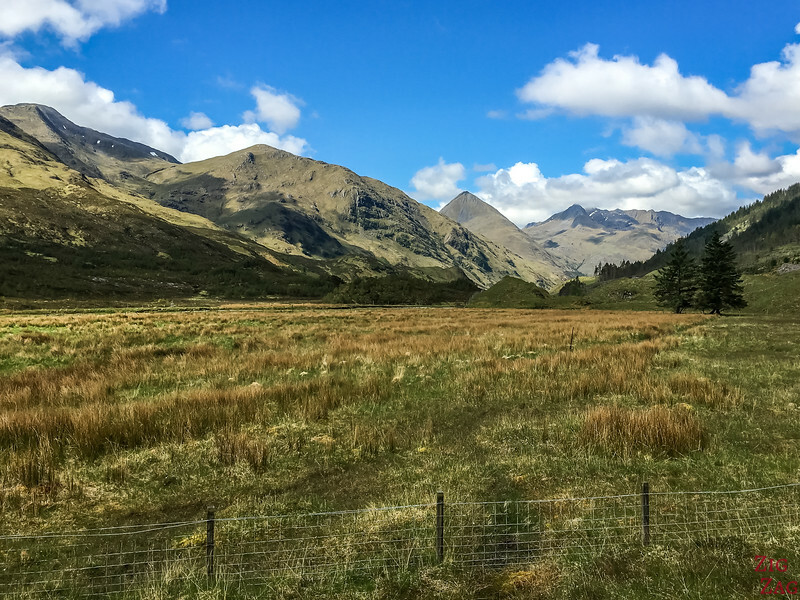 Glen Shiel is also famous for a battle which took place in 1719 during the Jacobite rebellion. 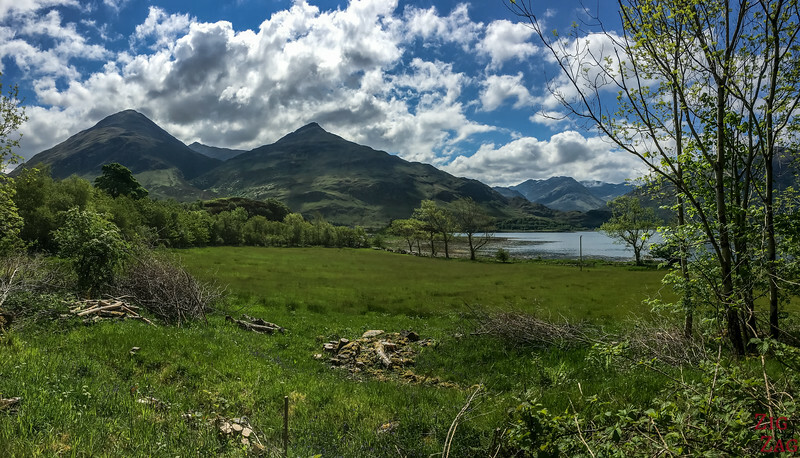 The most famous peaks in the area are Sgur Fhurean (Cold Peak - 3505ft - 1068m), The Saddle (3319ft - 1011m) and Sgur Na Sgine (3098ft - 944m). 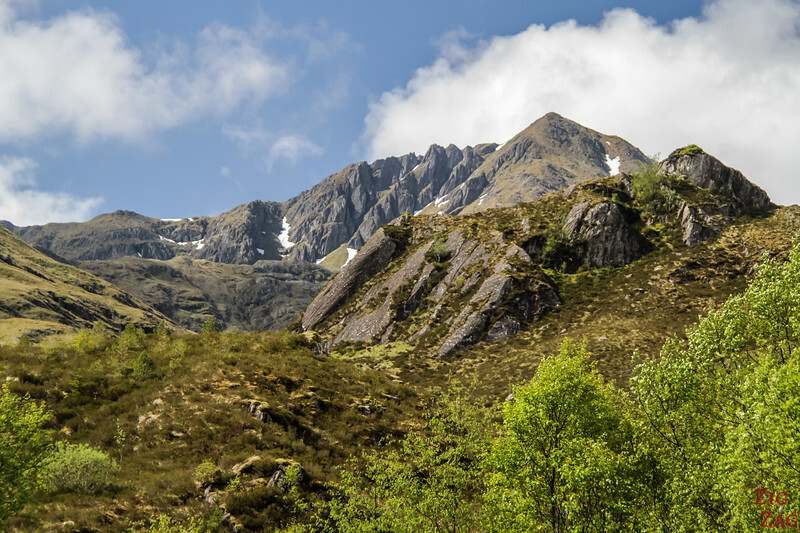 One of the ridge is called the Five Sisters of Kintail. 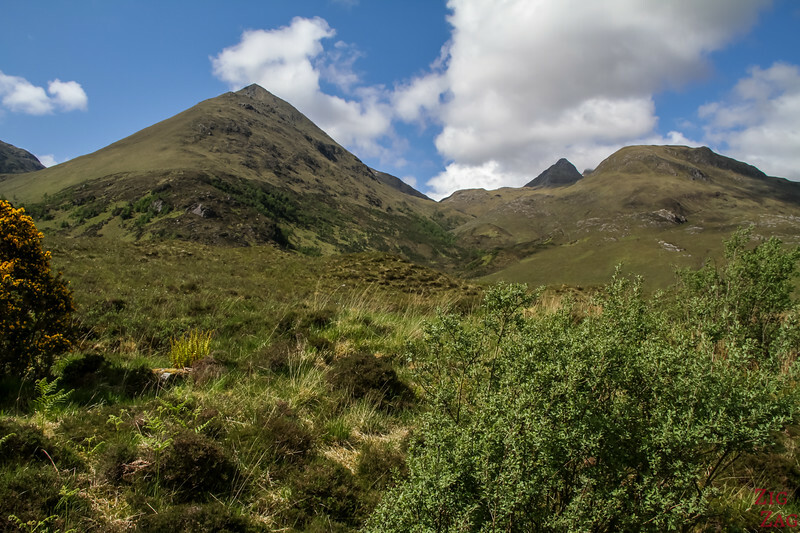 It is a series of peaks rising from 2729ft (832m) to 3505ft (1068m). 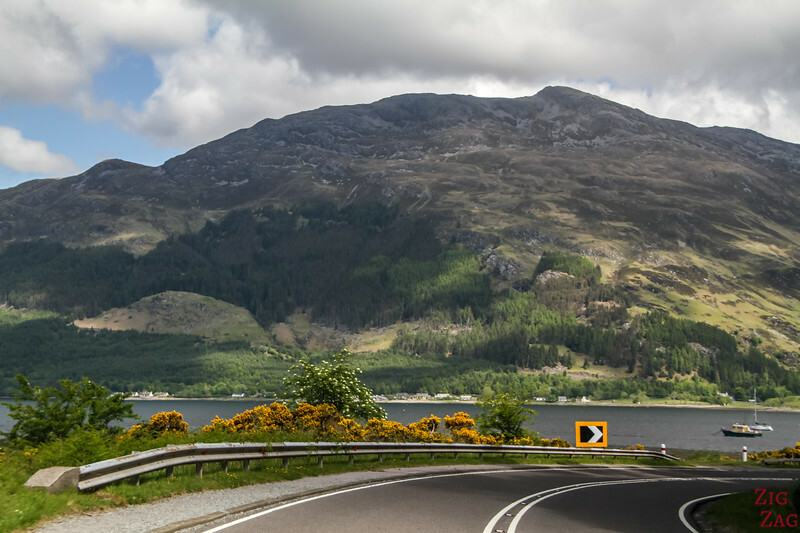 Although it looks like an enclose loch, Loch Duich is actually a sea loch. 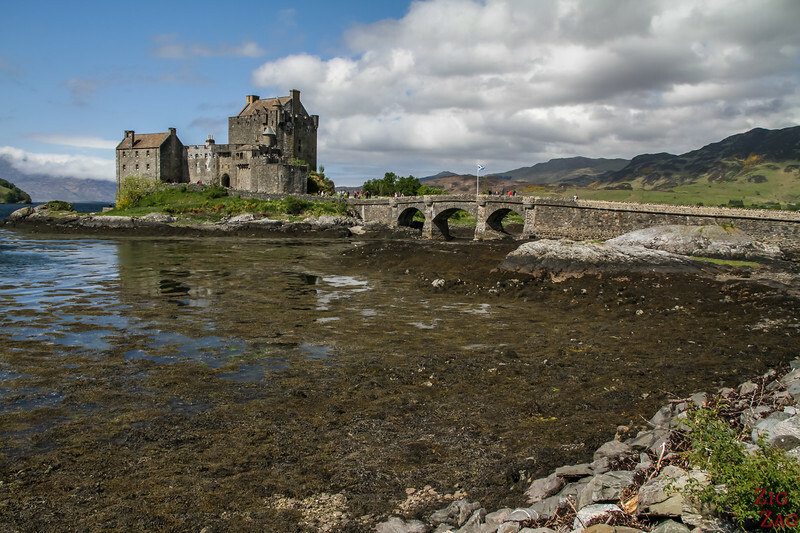 This Loch is mostly famous because at its head was build Eilean﻿﻿ Donan Castl﻿﻿e, on a small island where Loch Duich, Loch Long and Loch Alsh meet. 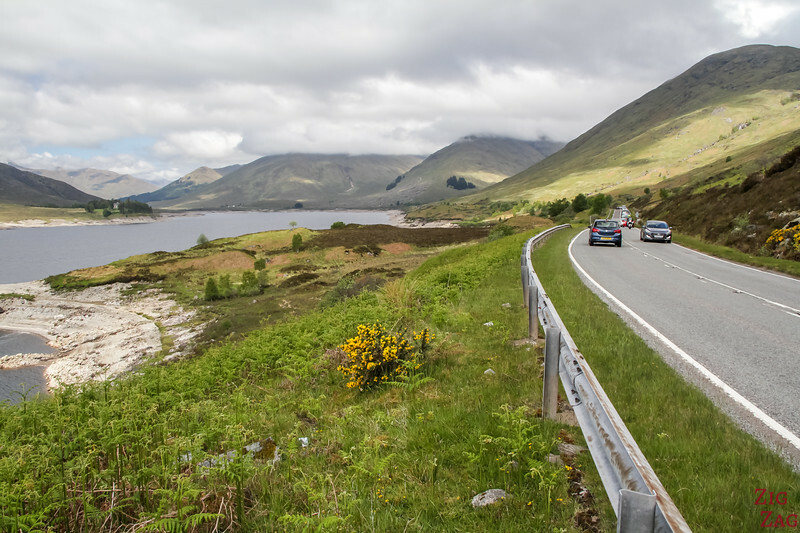 The last leg of Road A87 to the Isle of Skye takes you along Loch Alsh and to the Skye Bridge. Loch Alph is of course a sea loch that runs for 12km (7.5 miles). Several parkings are available to admire the scenery of enjoy a picnic (although it can get very windy). 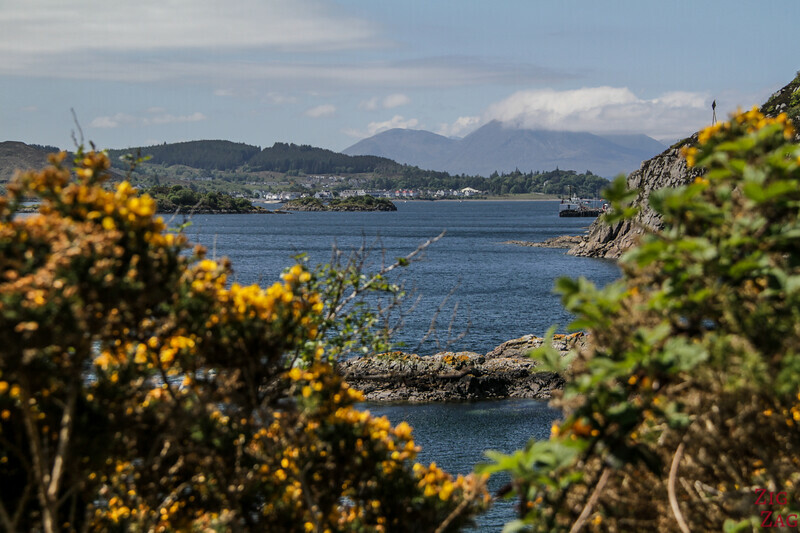 Before the only way to get to the Isle of Skye and admire the beauties of Quiraing, the Cuillin Mountains and the Old Man of Storr was to take a ferry from Mallaig or from Kyle of Lochalsh (right next to where the bridge is now). 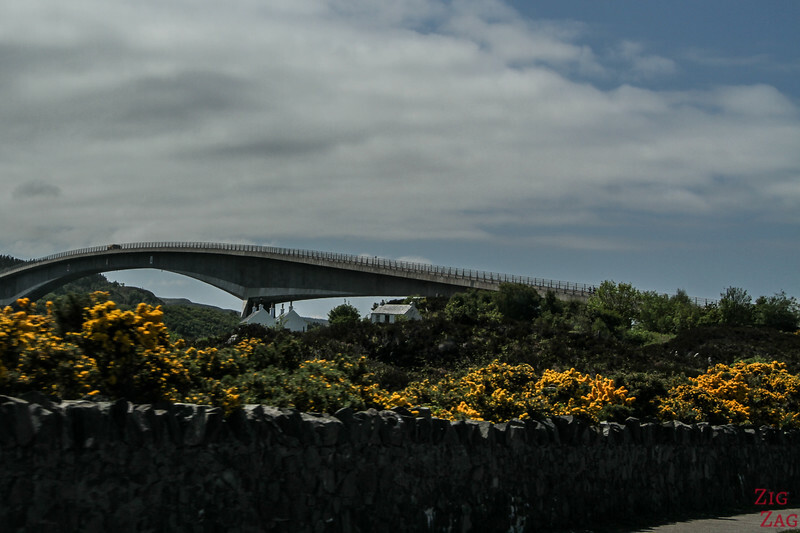 ​Built in 1992, the Skye Bridge now gives easy access to this beautiful island covering the 500 meters of straight (1640ft). 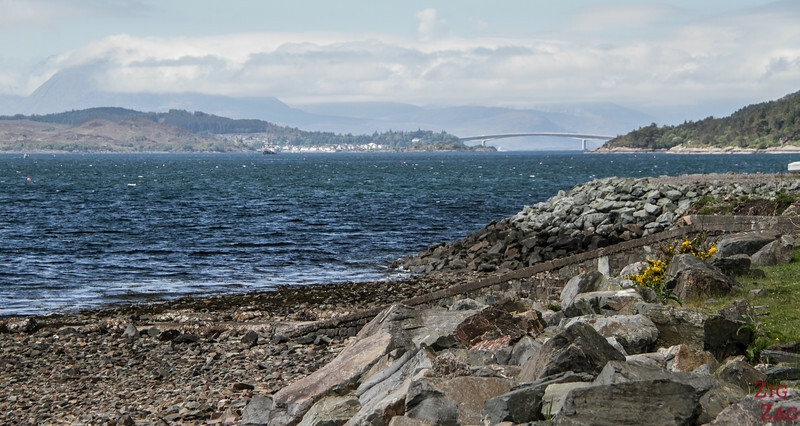 It connects Kyle of Lochalsh to Kyleakin. Following many protests, the bridge is toll free. 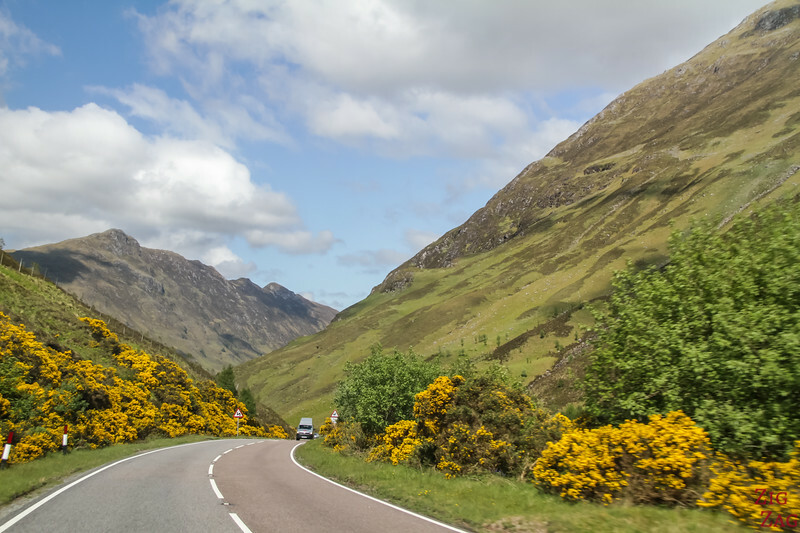 Surely one of the best drive in Scotland, don't you think? 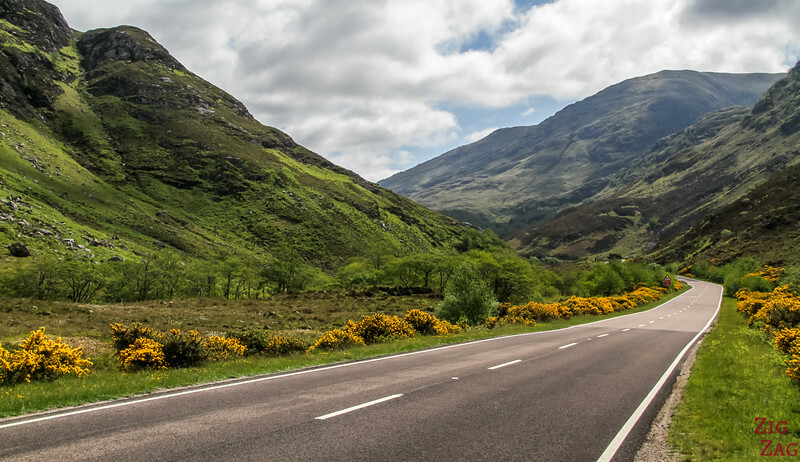 I drove a kit car along the A87 around 1995, and vowed to return, which I did with my wife on a coach trip. I felt that when God designed Paradise, this area must have been the prototype. Hopefully one day I shall return. Hi Claire, thank you for the great summary/description. 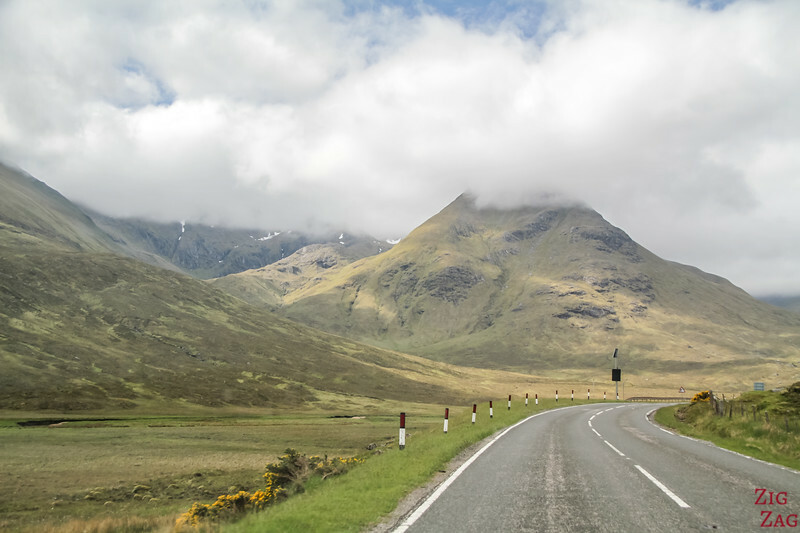 Do you recall if there were any tunnels on the A87 to Skye? 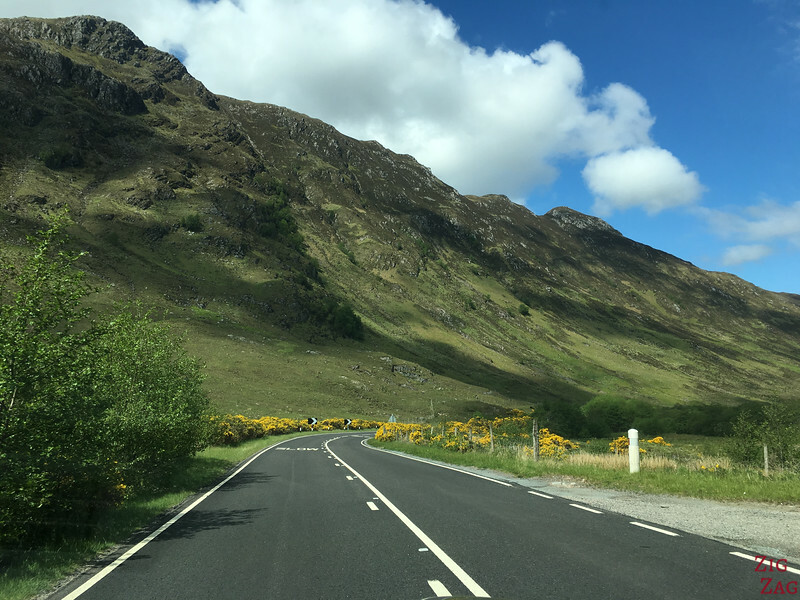 Do you think that this route is more beautiful/scenic then the A832/A890 route? 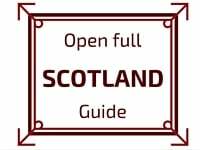 I will be driving from Inverness to Skye and want to pick the best one. Thank you!